We produce some of the best Organic Olive Oil in Tuscany from our own Organic Olive Grove. The Oil is pressed nearby and bottled for Conti di San Bonifacio. You can discover the beauty of our Olive Grove, learn about how it’s made and of course enjoy various tastings to refine your palette for when you get back home! Choose one of our Olive Oil Experiences and go a little deeper into Tuscan nature. Tour the olive grove, learning about the history behind our organic olive grove, and of olive oil in Italy. After, take a trip to the olive oil mill, where our olives are crushed and turned into divine organic olive oil. Finally, return to the Resort, where the experience will culminate in your very own olive oil tasting. Learn how to select, smell and taste Olive Oils from Italy. Get deep inside the structure of an Olive Oil and how to judge quality and nose. Enjoy this tasting paired with local Tuscan cheeses and a glass of our Montergio di Massa Marittima. The use of olive oil in Italian cooking can take your dishes to the next level. 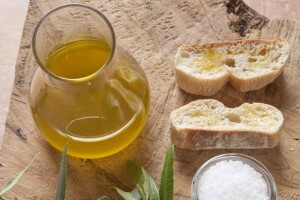 Besides being helpful in reducing your bad cholesterol, olive oil is a wonderful addition to your cooking. Learn some secrets from the kitchen of Chef Jacopo, as he will show you how to make the most of our precious organic olive oil.